ActionBar is one of the most important user interface designs in android application. The android action bar is also known as app bar. 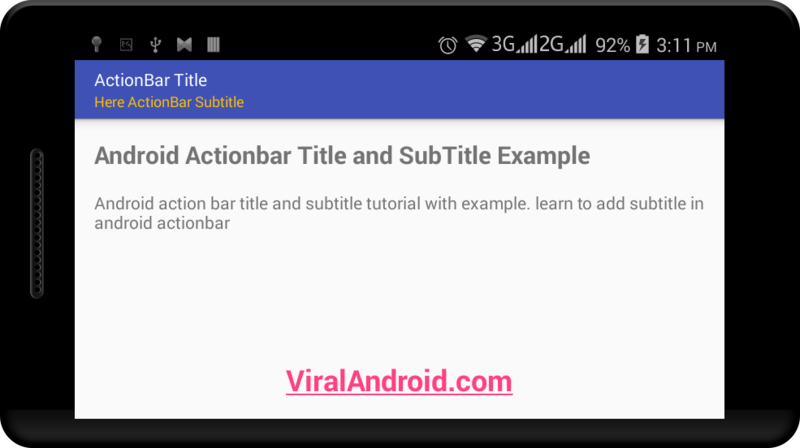 In this tutorial, I am going to show how to set the android action bar title, subtitle and the text color. Here is a simple android action bar example that teaches you to add title and subtitle text in action bar with text color. That’s it. Now, run your Getting Started with Android ActionBar Subtitle application which will look like output given below.